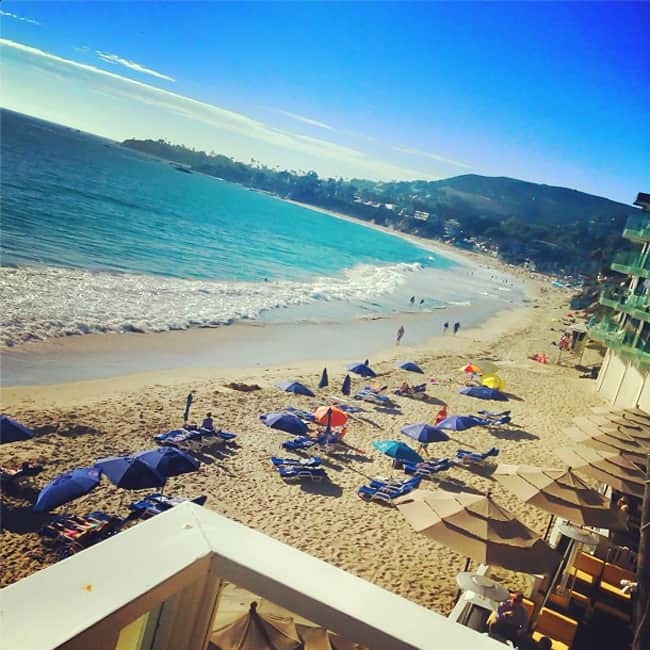 when I received an invite to stay at the Pacific Edge Hotel in Laguna Beach, it came at the perfect timing. 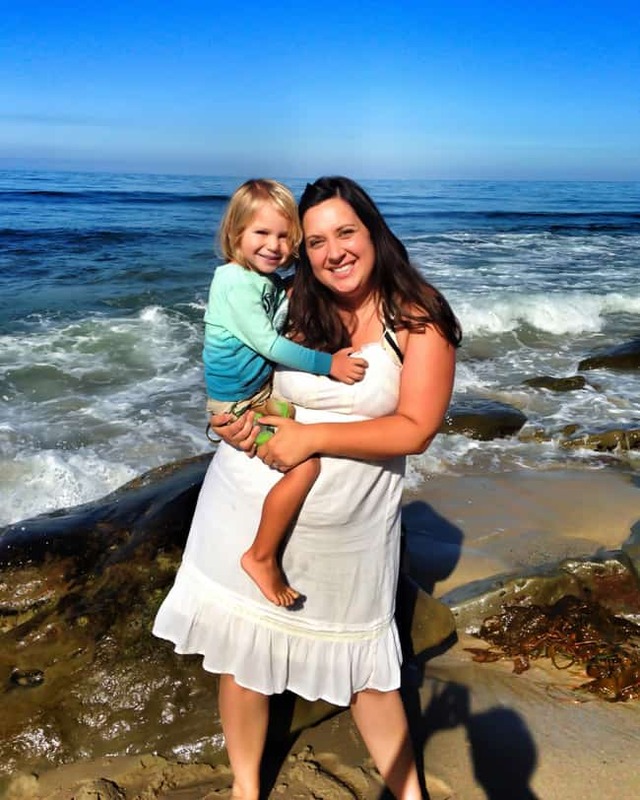 i had just gotten my wisdom teeth out, and could use some time to recover and some mom time while enjoying ocean views. 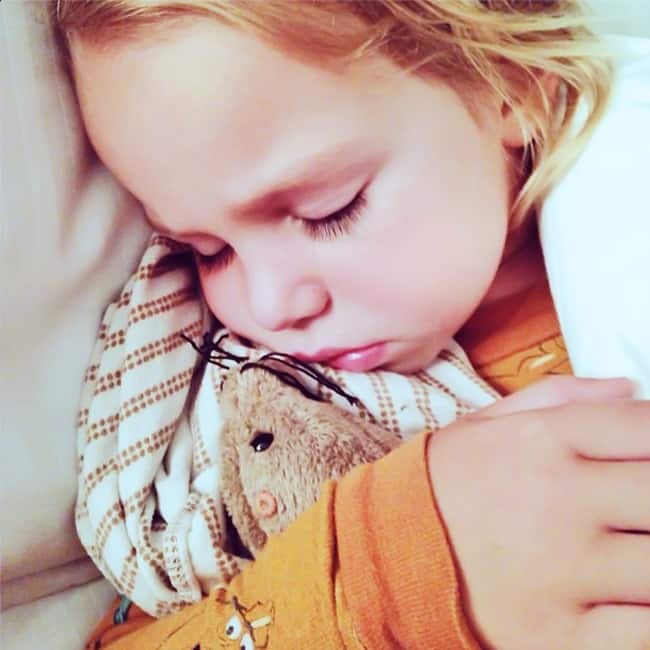 so i arranged with my husband to take care of my oldest two boys since they had already started school, and little Vann and i headed down with my mom to the hotel. 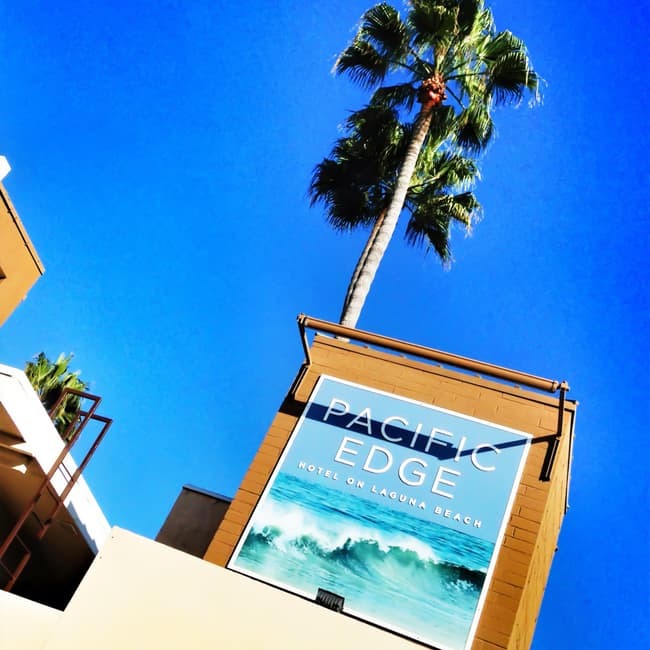 The Pacific Edge Hotel is located on the sands of Laguna Beach, just a few blocks south of the main beach on Pacific Coast Hwy. i had no idea that there was a hotel this close to the ocean. when we arrive at the hotel we got our first glimpse of the ocean in the newly renovated lobby. i so loved the decor…the colors serene and felt like a boutique hotel. i to decorate my home the same way. here is my little guy checking out the lobby. after we checked into the room and found out that it was literally lees than 30 yards from the beach and overlooking the ocean (i’ll take about it later in the post), we headed down to enjoy the rest of the day in a private bungalow right on the sand. The Pacific Edge Bungalows are suites that have their own seating area, a television, bathroom with shower, a bar with refrigerator and are located in front of The Pacific Edge Hotel…on the sand! there are 5 different Bungalows to choose from, each sporting different decor and feel since they are sponsored and decorated by local Orange County companies. we happened to stay in the Billabong Bungalow, it was awesome. 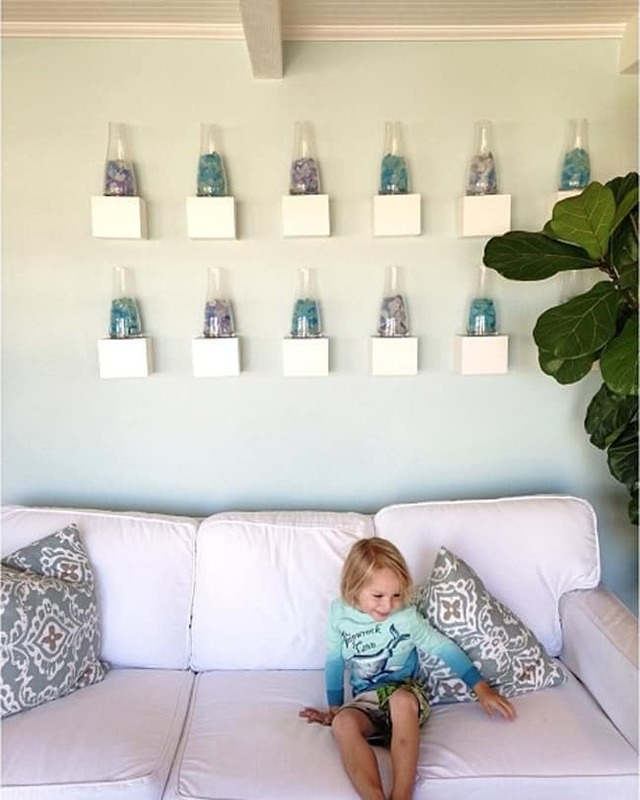 check out the surf decor. 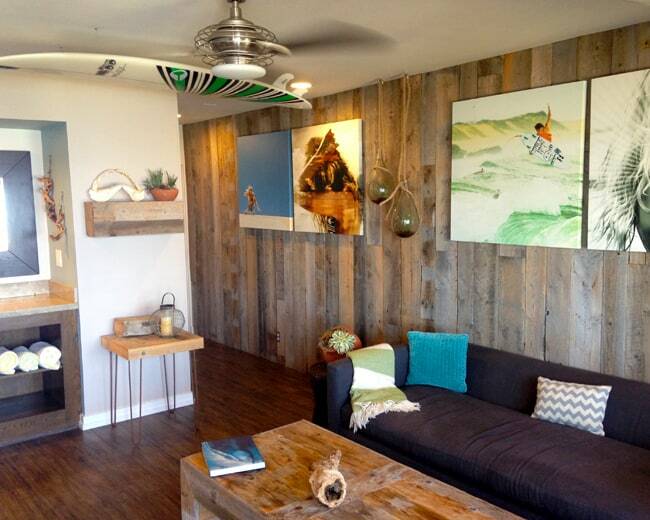 i especially loved the reclaimed wood on the wall, the surf mural and the surf art. we all felt like VIPs for the day. and the great thing about the Bungalows is that you do not have to be a hotel guest to rent one out for the day. you can rent it for a day with some friends, for an office meeting or family get together. 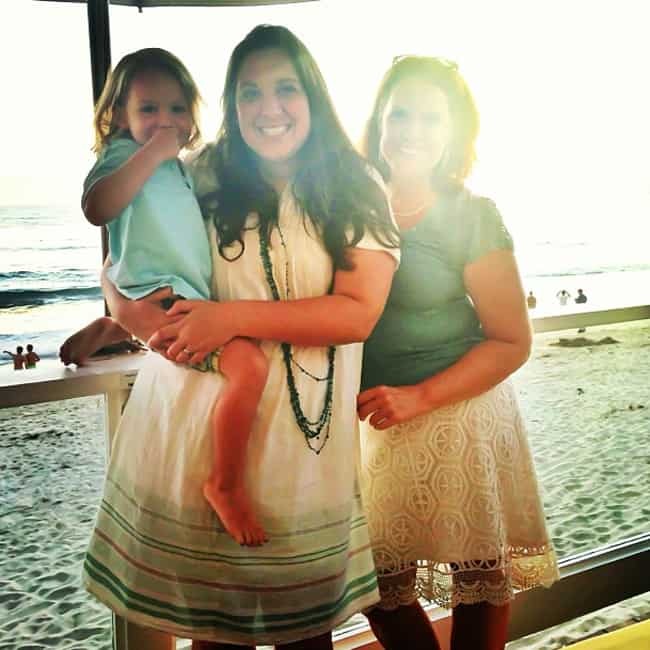 it would especially be perfect for a bridal or baby shower…you can’t get views like at many places. plus, the Bungalows come with complete room service, so you can order food and drinks during your stay. 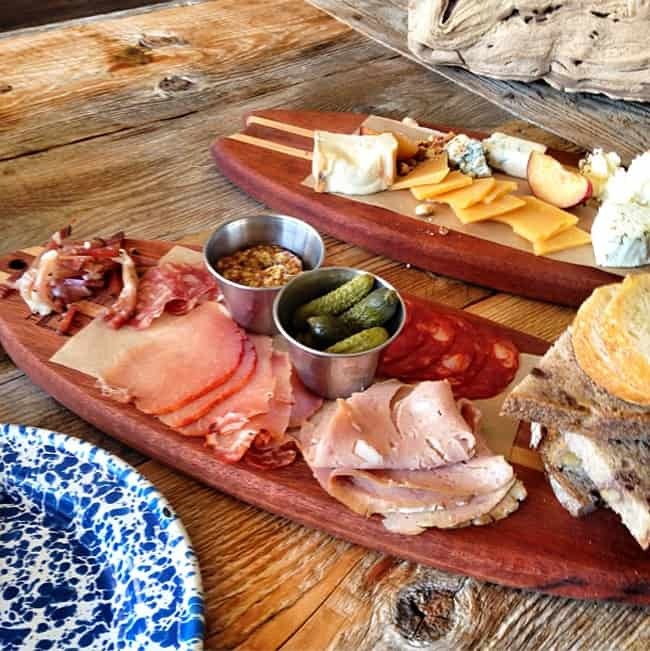 these charcuterie boards were delicious…served on mini surfboards. i die. not only did we enjoy the inside of the Bungalows, but they have their own private deck with chaise lounges to enjoy the ocean view or just to sit and relax with a drink. we spent the whole day enjoying the Bungalows until it was time to have dinner. we changed out of our beach attire and headed over to the hotel restaurant. here is a picture of my little guy, my mom and i on our way to dinner. 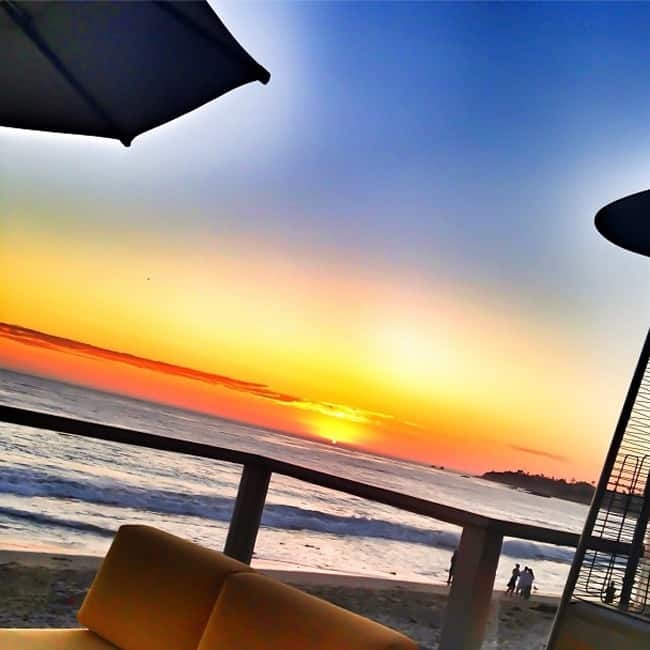 The Deck on Laguna Beach sits adjacent to the Bungalows and nestled between two of the hotels towers of rooms. the restaurant has a small but very good menu with choices of surf and turf. 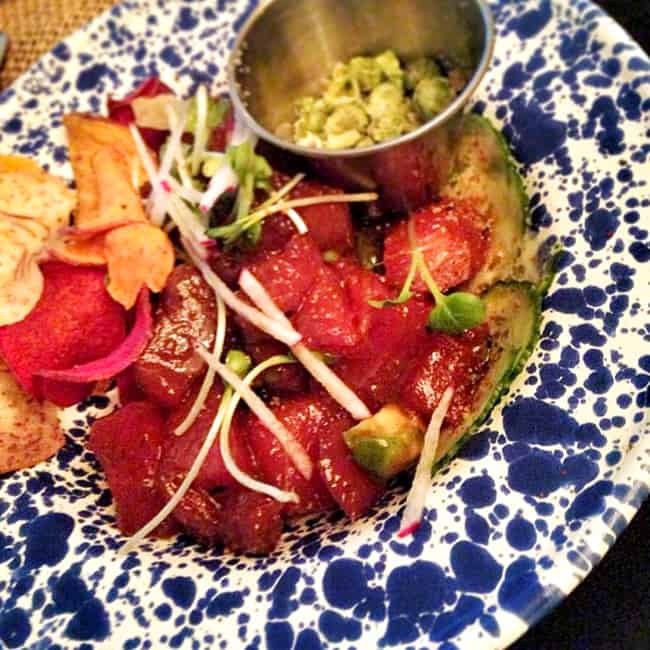 i tried out a few of The Deck’s menu choices…the Ahi Tuna Poke was amazing, the pulled pork sandwich, guacamole appetizer and shrimp Louie salad were all favorites of mine. 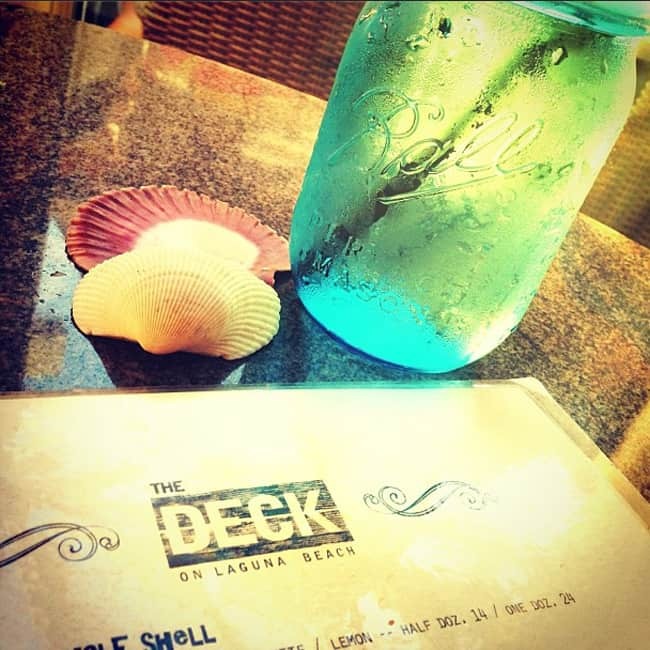 dinner at The Deck was magical. you had me at the live music and the sound of the crashing waves, but then we got to watch this amazing sunset while enjoying our dinner…that’s what i’m talking about. now for the rooms. The Pacific Edge Hotel has some newly renovated room overlooking the ocean. i am in love with the beachy decor. we had a full bar with refrigerator and a large flat screen television to enjoy. you don’t need much when you have the beach within steps. here is my bed, don’t you love it! it was the most comfortable bed i have ever stayed in. no joke. this little guy fell asleep within seconds nestled right next to me. and there is no better feeling than falling asleep to the sound of crashing waves. when we woke up the next morning at 6:00 am, this was our view. breathtaking. my little guy and i just walked out onto our balcony at sat for almost an hour enjoying the view, the ocean and people jogging down the beach. we then got dressed and tried to wake grandma up to go on a walk, but she loved the bed so much she wanted to sleep in it some more. so little Vann and i walked down to the beach alone to enjoy the sand. i would have to say the these early hour moments were the most special of my entire trip. the gentle crash of the waves, the quiet beach walk and fresh crisp air was priceless. 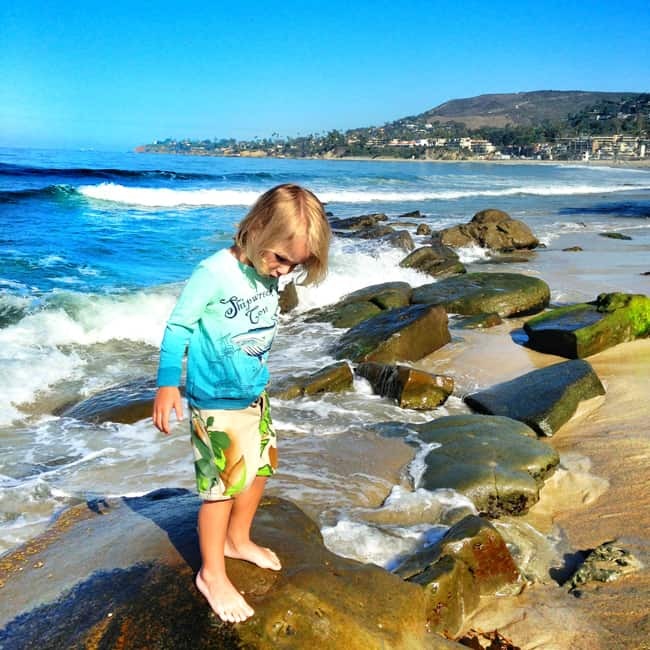 i was in awe of the beauty and the joy of my little guy enjoying nature. this was a special moment i was able to have with my little boy. just us walking and running on the sand. i love this picture that a passerby took of us. i could do this again and again. 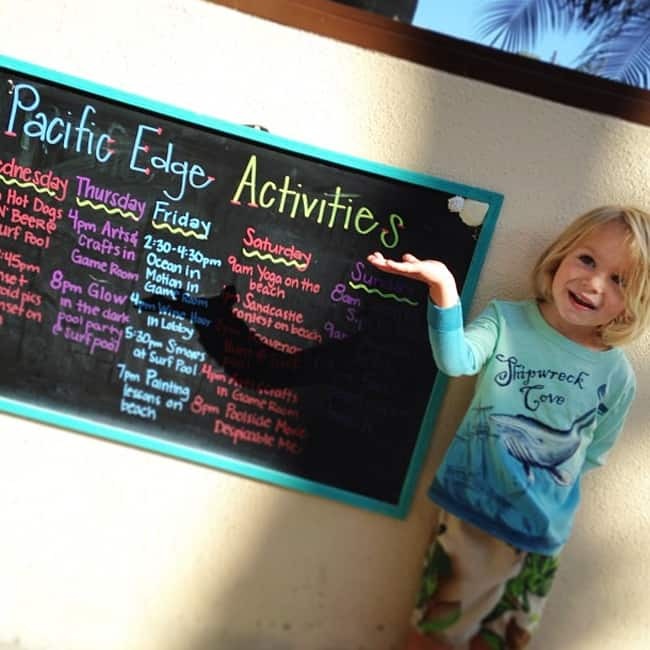 The Pacific Edge Hotel has something for everyone. they host daily activities such as yoga on the beach and sand castle building contests.there are two heated pools and a jacuzzi on the premises and your days can be spent relaxing on the beach. the hotel has complimentary lounge chairs, umbrellas and beach towels for your use. 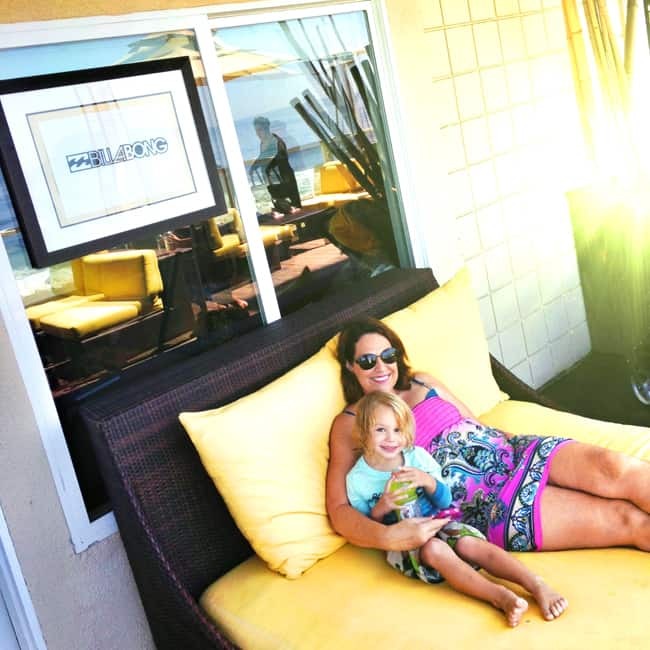 my stay at The Pacific Edge Hotel was just what this momma needed to recoup from the hustle and bustle of summer and refresh herself for the beginning of a new school year. and i will definitely be back with my husband and boys because they would LOVE to stay here. 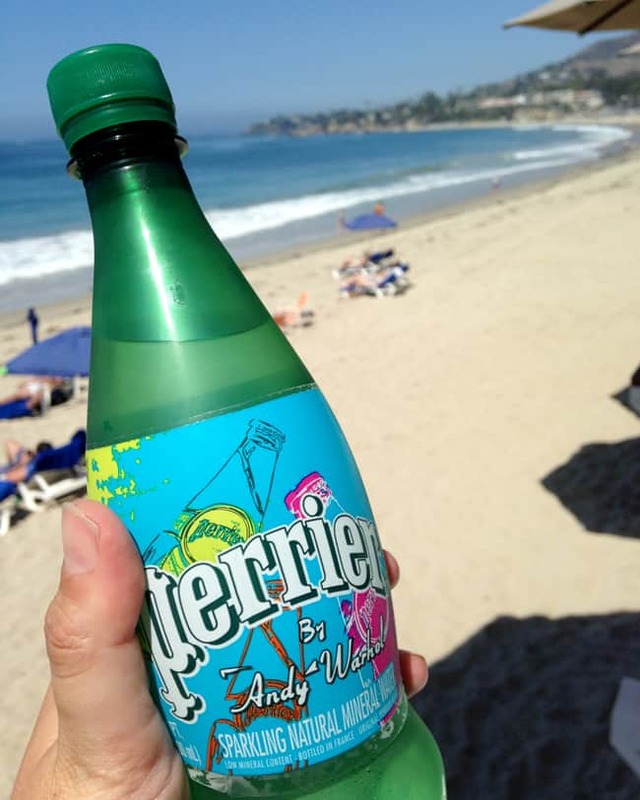 we are a beach loving family and you can’t much closer to the beach than this. Thank you Pacific Edge for the wonderful stay. click here for more information about The Pacific Edge Hotel. Gorgeous! What lens are you using for these photos? This place looks amazing! 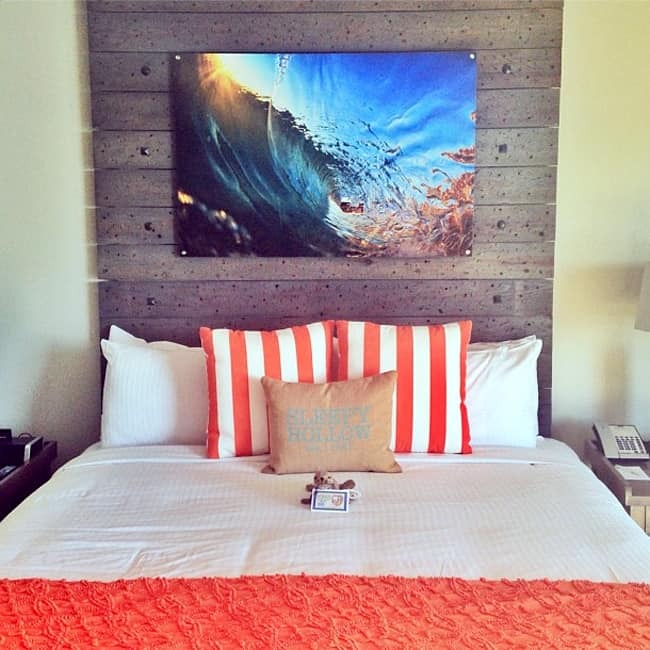 I LOVE the reclaimed wood on the wall…and the mini surf boards…how cute! cutenes! AND I love your pictures. Looks like a great place to stay. I’d like to stay in this hotel! It’s very cool. I stayed there once and I LOVED it but I’m dying to rent out one of the bungalows!